Check out my latest MarketingProfs Daily Fix article! 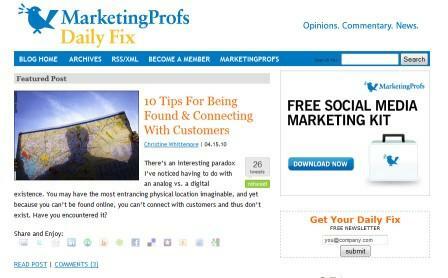 It's titled 10 Tips For Being Found & Connecting With Customers. Do you have tips to add to the list? Ones that you have found particularly effective for being found online and connecting with customers? What have you found most beneficial when you integrate your online and offline activities? Added 4/19/10 pm: Thank you, David S. Finch, for including this article in Weekend Reader: April 18 Edition! 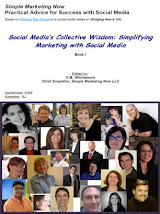 Simple Marketing Blog: Junta42 Top 42 Blog!